Here are more wonderful quilts from the Aurora Colony Quilt show. It is a small show but also one of my yearly favorites. Scroll to the bottom for the giveaway winner. 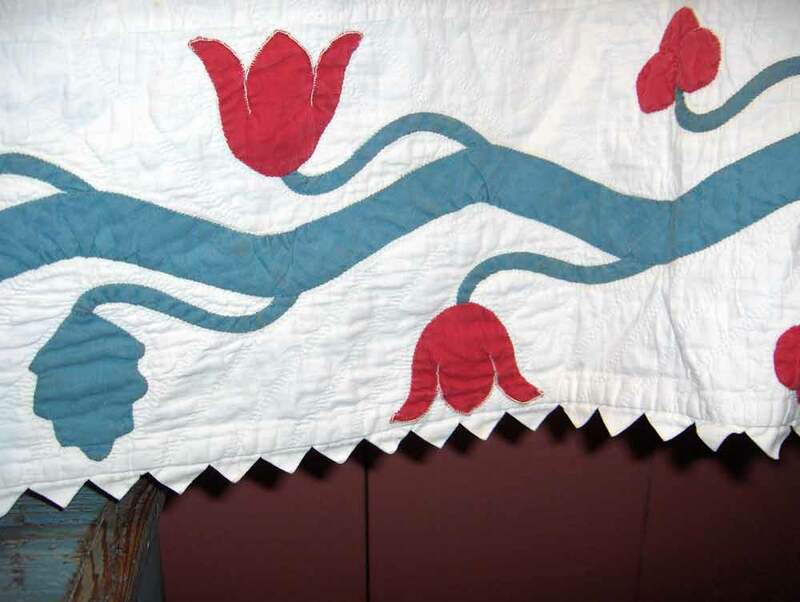 This unknown quilt pattern was a gift from descendants to the museum. 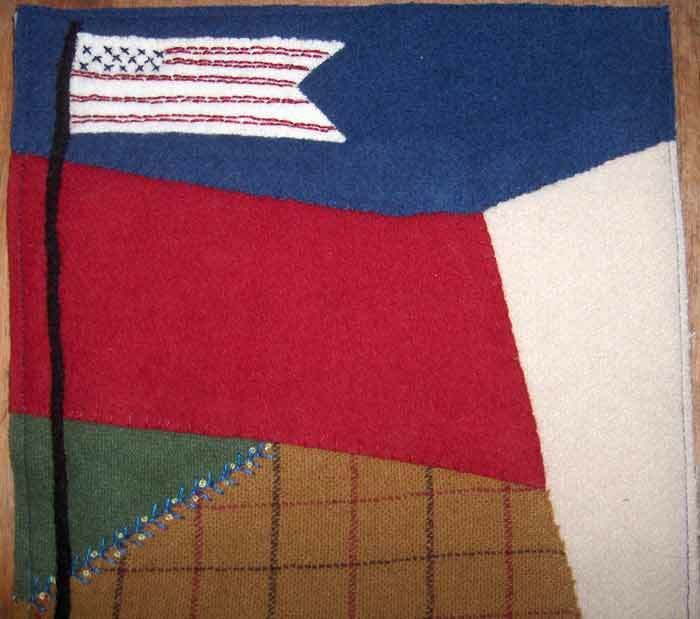 Made by Caroline Miller & Lydia Irvin. Note the date of 1866. 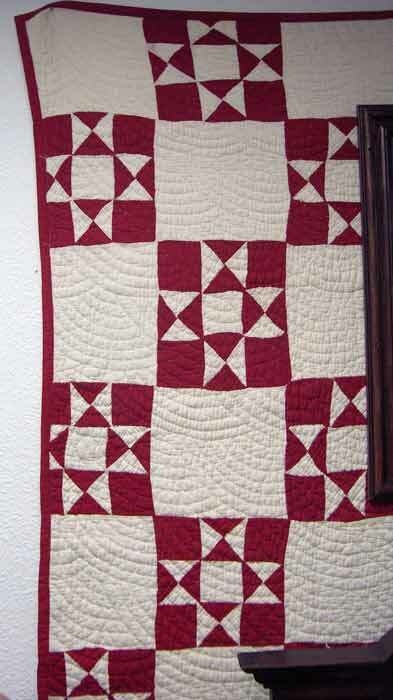 I like the way the red pieced border mimics prairie points. 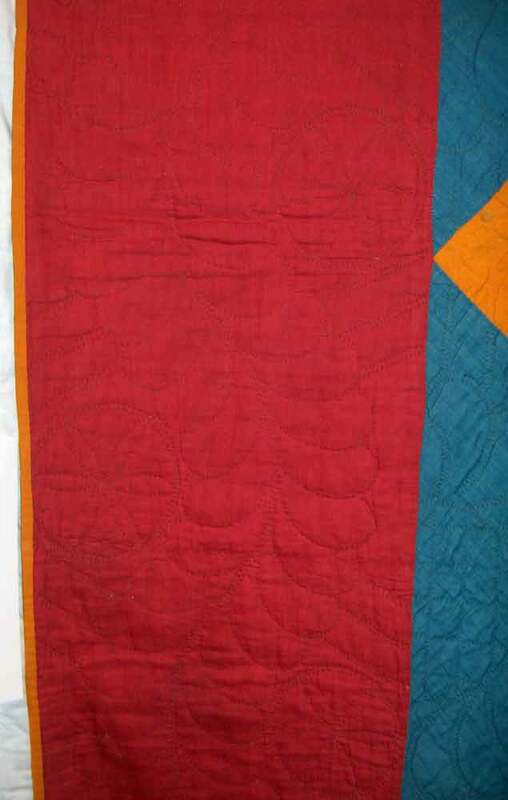 You can see from this photo the left blue border is a lot more faded than the right side. 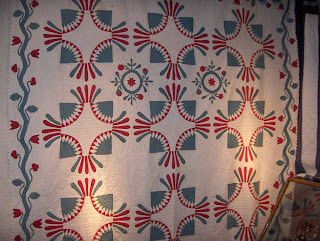 I loved the braided style quilting. 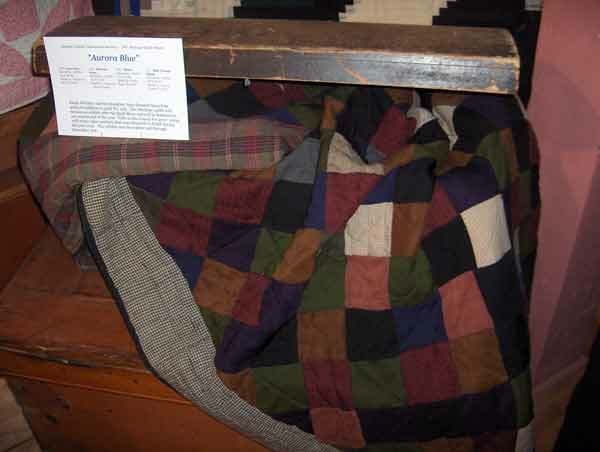 The three quilts below were also a gift from descendants to the museum. The 30's quilt had some very tiny 9 patches!! In the quilt above the blocks were antiques and the quiltmaker did an excellent job at making a wonderful quilt from them. 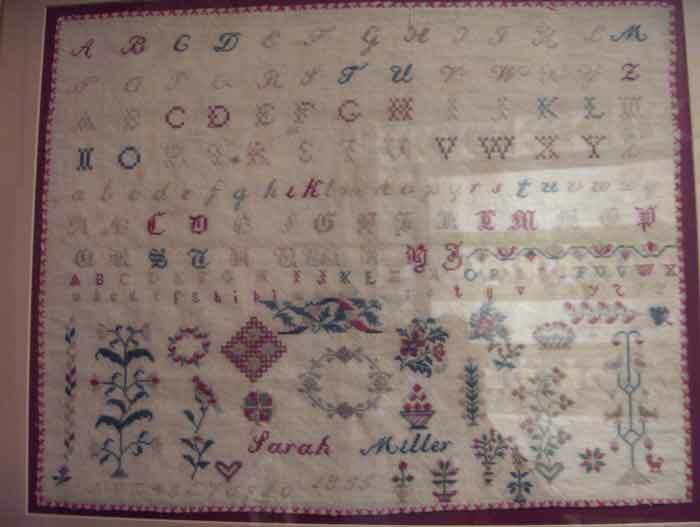 A fun sampler from 1855. This medallion quilt was made by Becky Pauly Spencer. 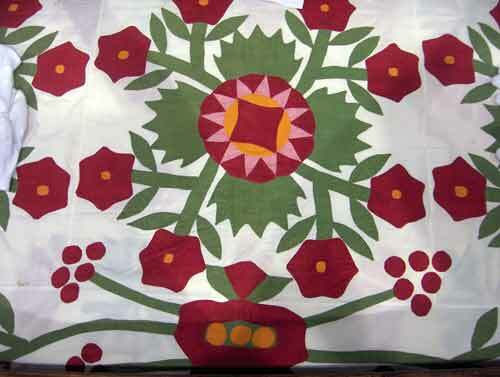 A beautiful reproduction. At first glance I thought both of these quilts were old. 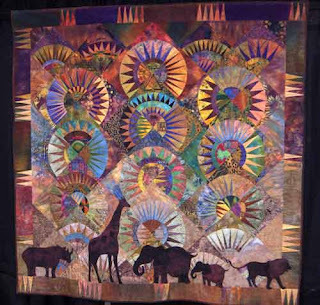 They are new and beautifully reproduced with hand quilting by Sue Winfield. 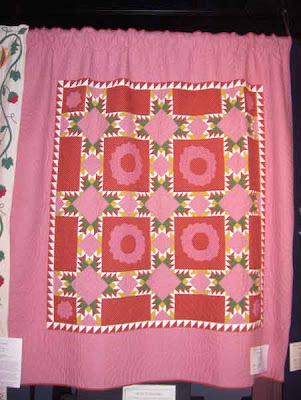 This humble quilt I saw in an antique store. 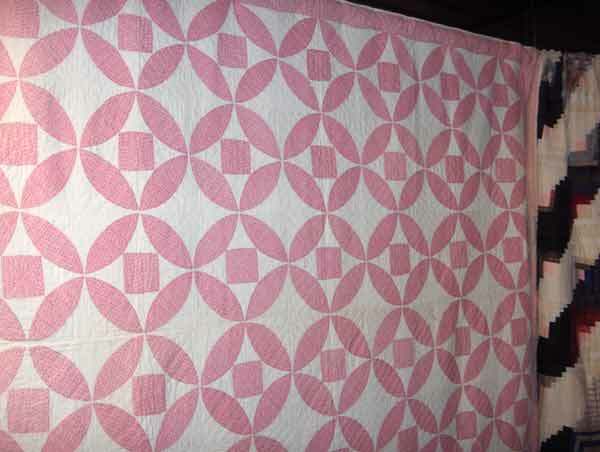 I wonder why the quiltmaker felt the need to chop off the stars!!?? I love the big Baptist fans. 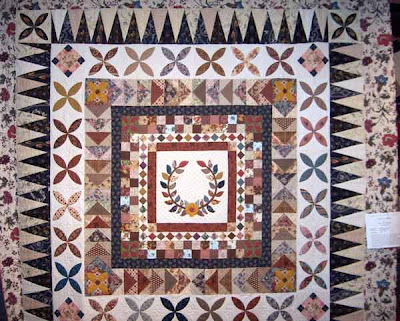 Karen at Log Cabin Quilter was the name that was pulled from the hat. Thank you all for entering!!! 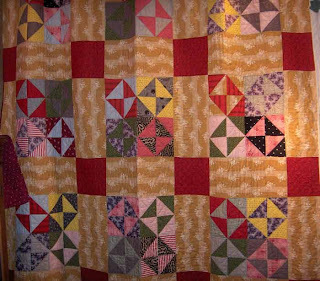 Aurora: An American Experience in Quilt, Community, and Craft. It's worth checking out from the library. This quilt really caught my eye. I love how there are two wreaths at the top but no more. 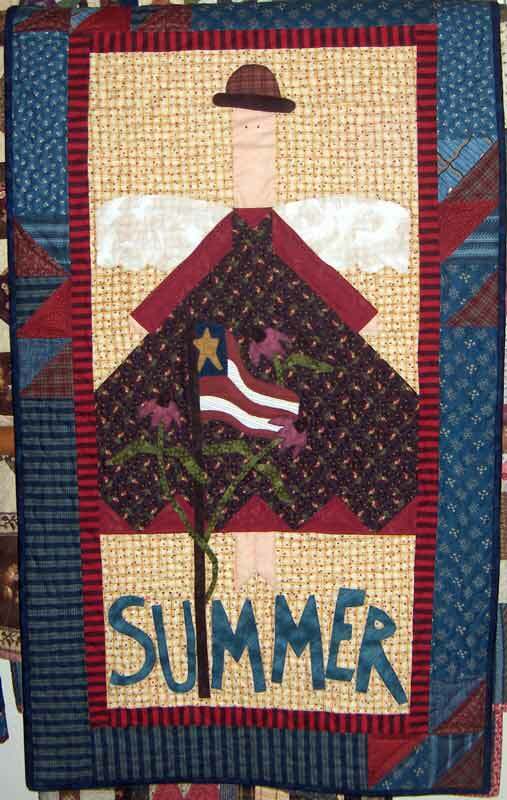 I wonder if the quiltmaker decided she didn't really want to fill up that space with applique. Tiny hand buttonhole stitch, but only at the top of the tulips. ﻿﻿ Lovely little prairie points. This one is so graphic. 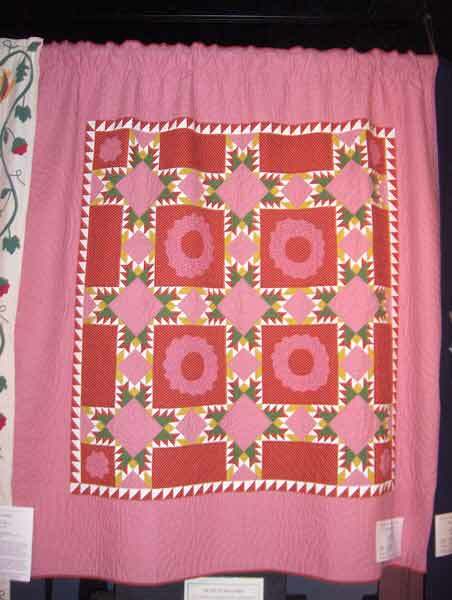 I think I'm getting more drawn to the beautiful simplicity of the Amish quilts. 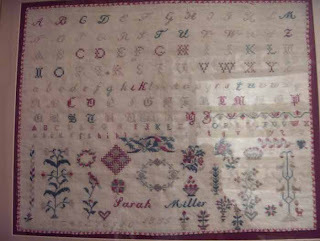 This was made by Matilda Knight Stauffer and owned by the Yoder family. 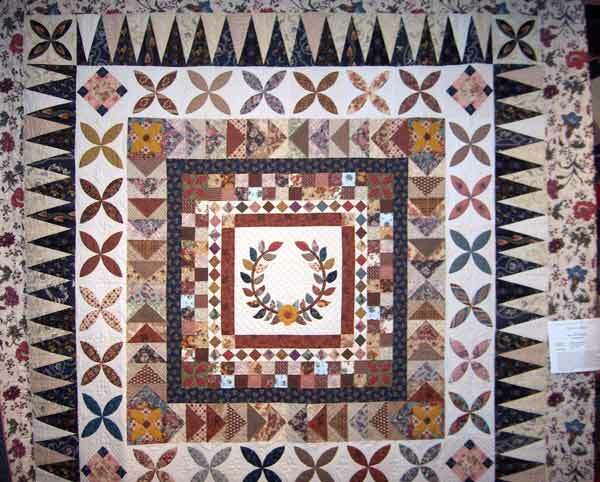 I hope you can click on this to see the wonderful quilted motifs and beautiful feather quilting. 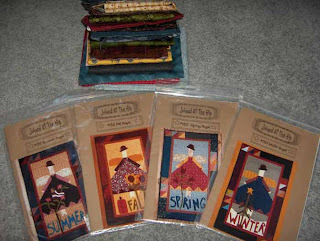 If you haven't commented on my last post you still have time to win 4 angel patterns and two fabric kits!! What are you waiting for? 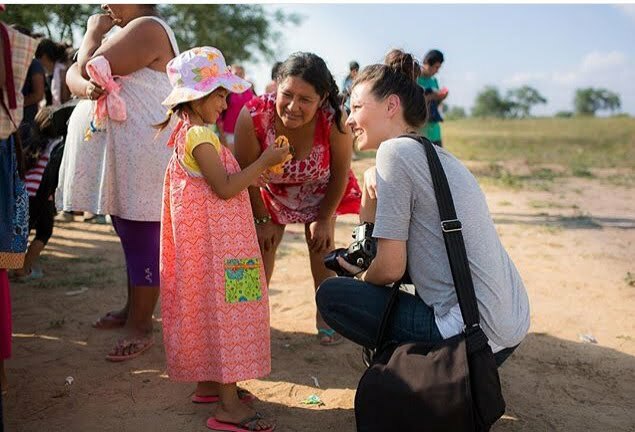 If you are international I will ship outside of the US. OK, so it's a little past summer. We've had our first snow in the mountains....that must mean winter is coming soon. 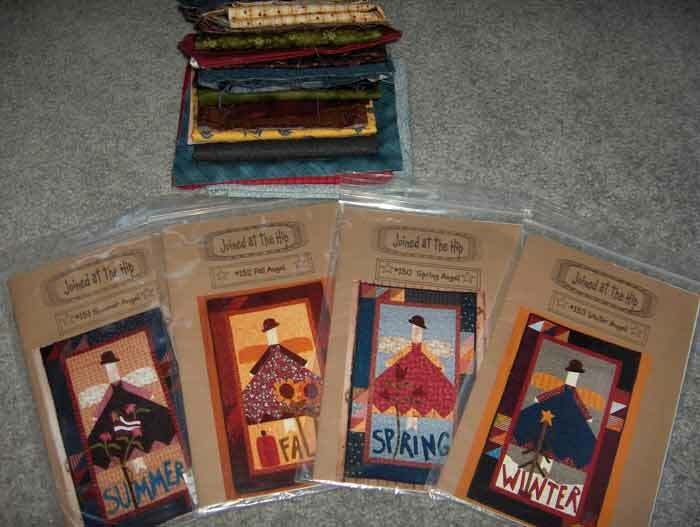 I won the four season's angels from Vivian at Quilts in a Mug early this year. 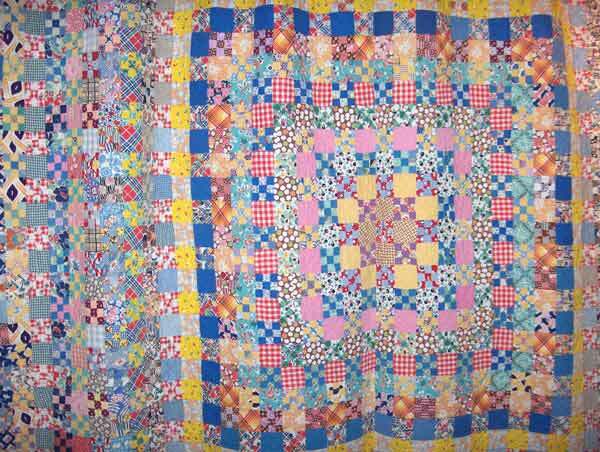 I finally got this one quilted and bound!! Of course, I started with summer 'cause it's my favorite season. I haven't quite figured out what sort of mouth to add to her. I know I won't be making any more of these so I thought I'd pass them on as a giveaway. When I won them from Vivian she had used one of the fabric kits. 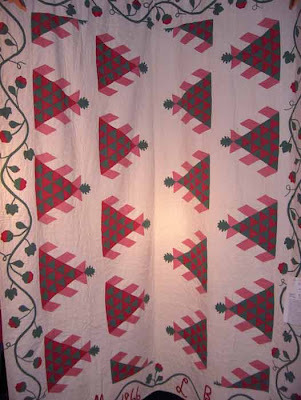 I used one more, so the fabric you see should make 2 angels. 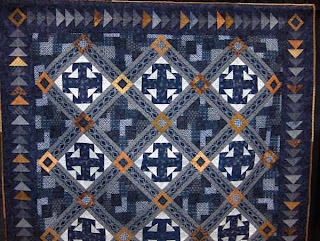 These patterns are designed by Joined at The Hip and I have to say, in my opinion, they really put the time into making the directions easy and understandable. They are tops in my book!! Thank you for dropping by and reading my humble little blog. It's been fantastic getting to know so many of you!! 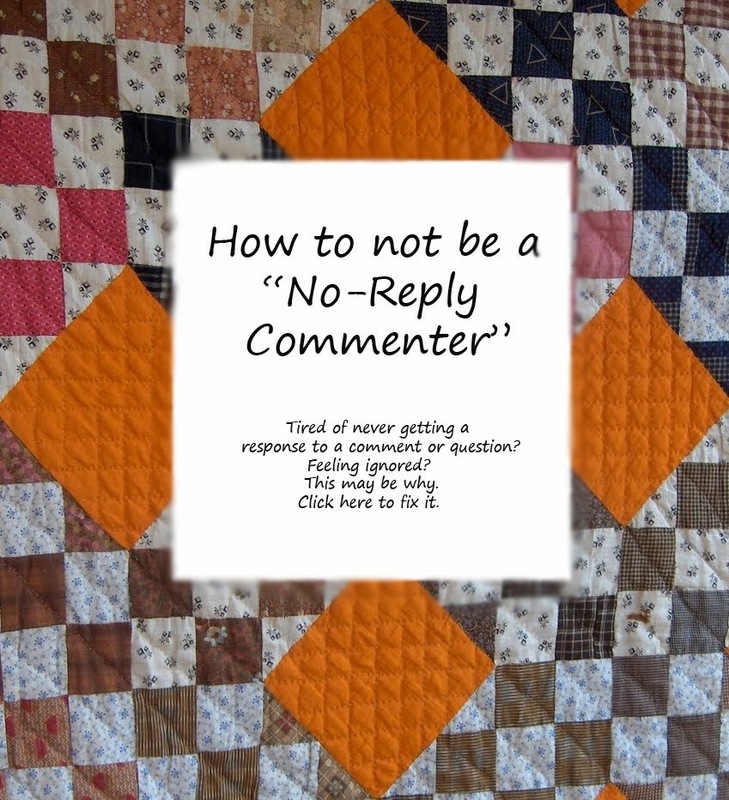 Many comments have been left lately that are anonymous or no-reply so I haven't been able to respond. I want you all to know how much I appreciate every single comment!!! Leave me a message if you'd like to win and I'll draw Saturday evening. As much as I've tried to stay focused on getting a few UFO's done, I couldn't help myself from a couple of little projects. I'm calling this one Dixieland. 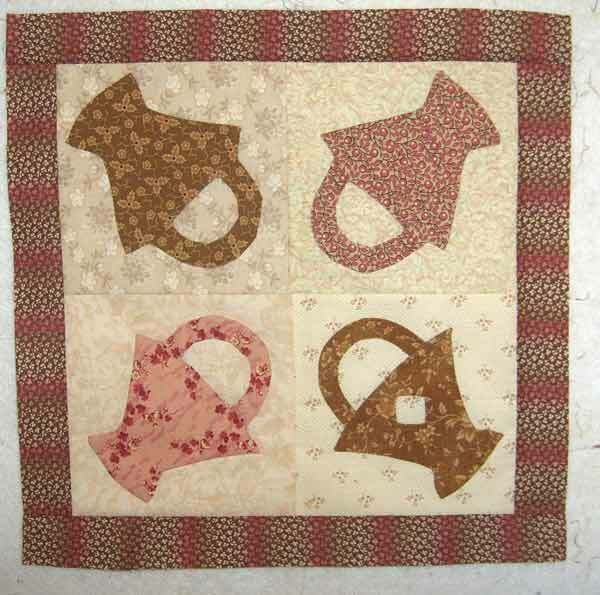 Dixie made the little block with the cutout and I couldn't resist doing a couple of more applique blocks. I tried adding an additional border but it wasn't working at all, so I'm going to leave this one "as is". Thanks again Dixie!! 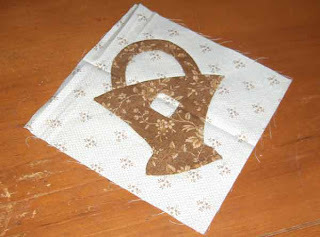 Here's a little quilt I made from the Provence scraps Valentina sent to me. All of still smells heavenly from the lavender she sent with it. I'm calling it Provence through Cyprus.Thank you Valentina!! 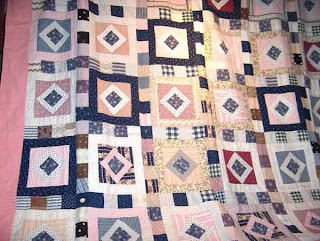 I only had to add two squares on my own fabric. Can you spot them? 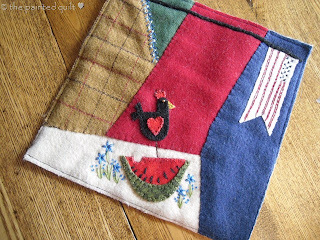 And here's what I did with my Wool Crazy Round Robin. I won't be putting any pins in it, but I found this frame that worked perfectly!! I have it hanging next to an old bright red child's swimsuit. It fits the summer theme perfect. Thanks again ladies!! 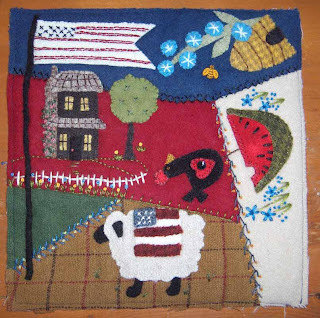 My wool crazy round robin made it back home to Oregon this week!! I'm excited to put a few stitches in it and finish it up. I will treasure this for many years!! This is how my block looked when I sent it to Kaaren at the Painted Quilt. Very plain, very boring..... My theme was summer. Ah, that's starting to take on a little bit more life. Who doesn't love watermelon in the summer?! Kaaren continued to add charm by adding the chicken and the gorgeous flowers. 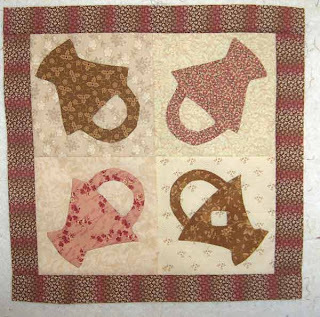 Kaaren then sent it to Karen at Log Cabin Quilter. 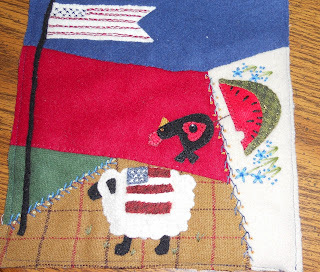 She added the adorable sheep with the flag blanket. Love it!! 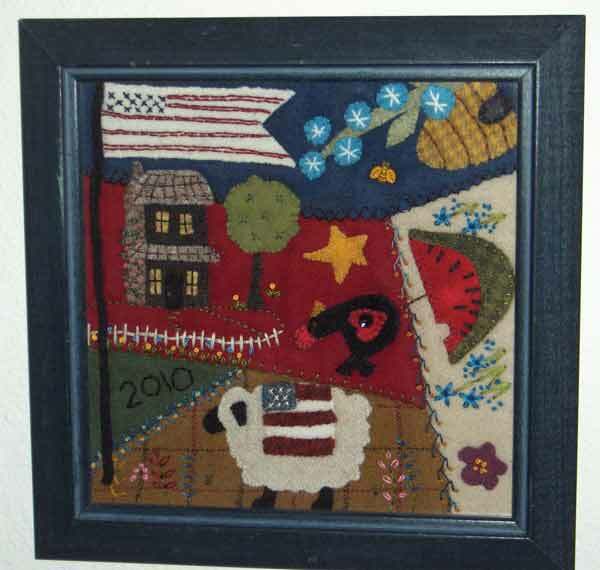 Karen sent it on to Sweet P Paulette who added the house and tree under the flag. I'd like to think that is my house! It's a beauty!! Look at the picket fence.. I don't think it will keep the deer out, but it sure looks quaint!! Paulette had the RR over the Canadian Thanksgiving and couldn't resist adding a bit more since she couldn't send it off right away. That little bee? It's a tiny button buzzin' around the flowers and bee skep. Oh my! I couldn't be happier with the results of the work all the girls put into it!! Thank you so much ladies!!! I have an idea of how I want to finish it, but I'll need a little time to figure it out. I'm hoping to post it again soon, but in the DONE state!! I also want to show you a couple things the mailman brought me within the past week. 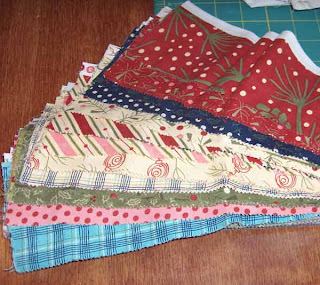 JulieKQuilts sent me these wonderful festive Moda strips!! They are actually folded over in the photo. There's plenty here to make something, but for now I am just enjoying looking at them!! Thank you Julie! So much for getting to sew so far this week. My son is working a part time job at the college he just graduated from and they needed his license. They informed him it had expired a couple of weeks ago on his birthday! Oops!! I made a quick 3 hour drive to meet him with his passport so he could get his license renewed. Today I'm heading the same direction to watch my niece's volleyball game. Yes, I'm biased, but her shirt doesn't say number 1 for nothing! She rocks!! Not much sewing going on so I thought I'd post some random photos. Thank goodness for you all I don't do this very often as I do take quite a few pictures. 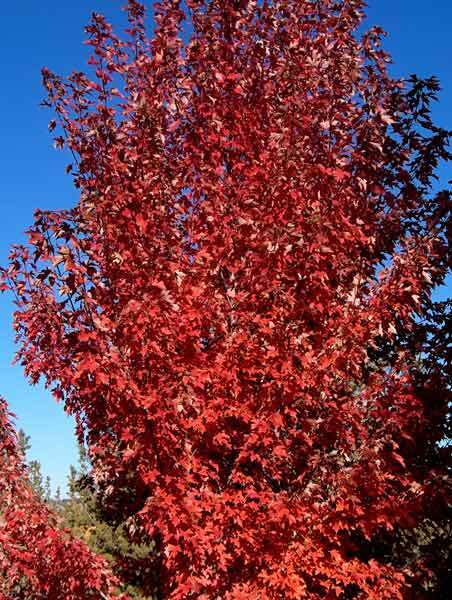 This fiery red maple tree is in our back yard. It is giving us quite a show this fall. I made a quick trip to my Dad and stepmom's in Moses Lake, WA this past weekend. Her flowers are still trying to bloom. 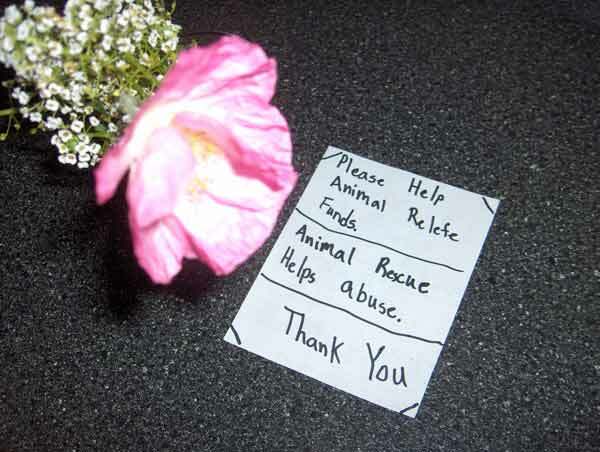 My adorable neighbor girl and her friend brought me these flowers with the note. They were not collecting money but raising awareness about animal abuse. I hope you are all enjoying your fall. I'm hoping to get some sewing done this week now that one of our employees is back from vacation. 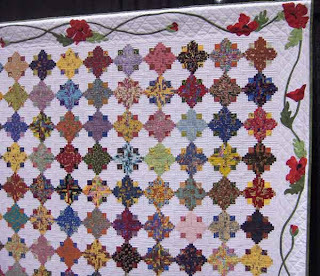 A few weeks ago was the NW Quilt Expo in Portland. I haven't reported on it yet, and I have to say I was a bit disappointed. 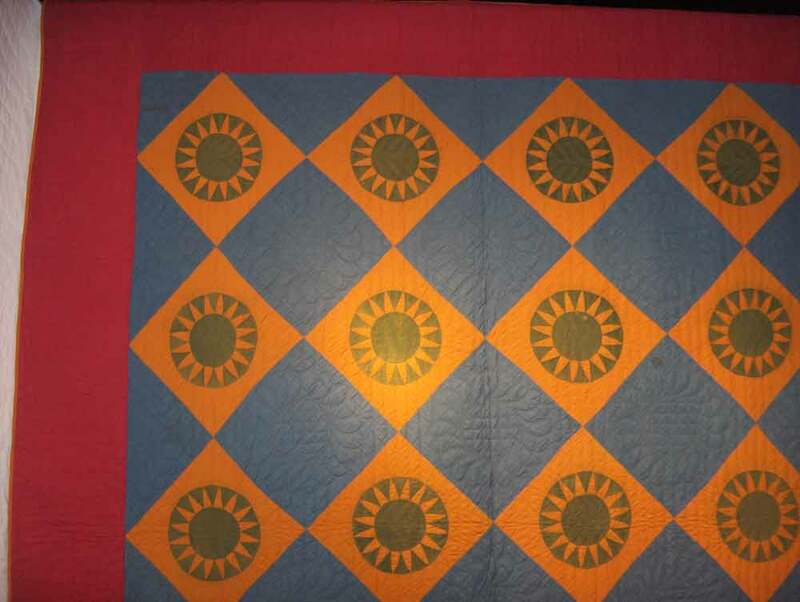 (Other than seeing the wonderful red and green quilts I shared) Because I have hardly stepped into my sewing room and have nothing of my own to show I'll share a few of my favorites. 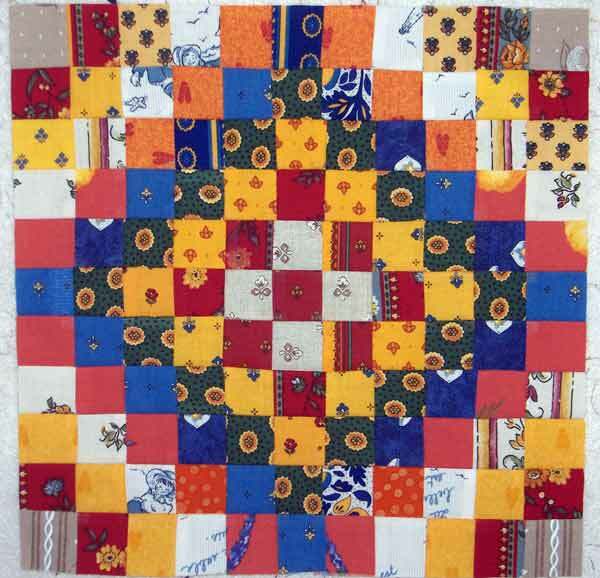 They aren't my usual style of quilts but appealing none the less. This one used quite a bit of floral fabric, which I don't use. It was really well pieced and had a lot of small pieces!! 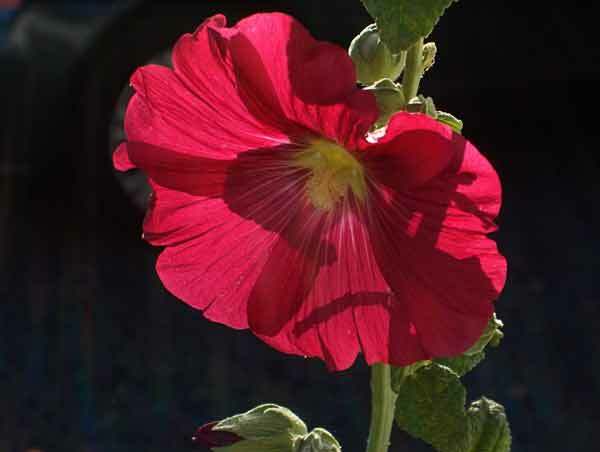 I love the poppy border too. 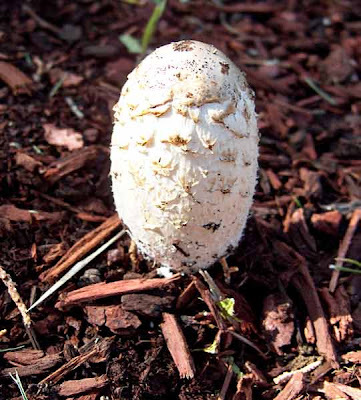 It made it a little more unusual. 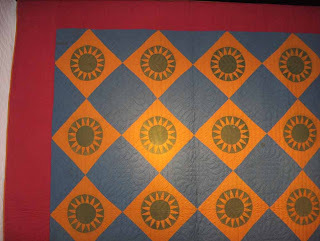 It's obvious the quilting is the highlight on this one. 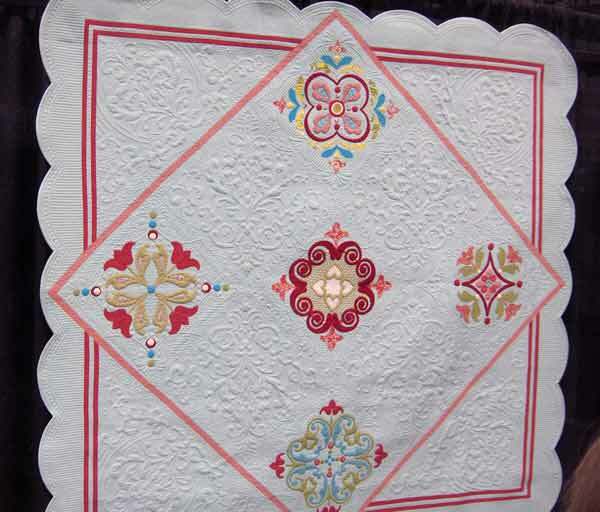 The few, but intricate applique blocks, the setting, and the wonderful scalloped border set this one apart. 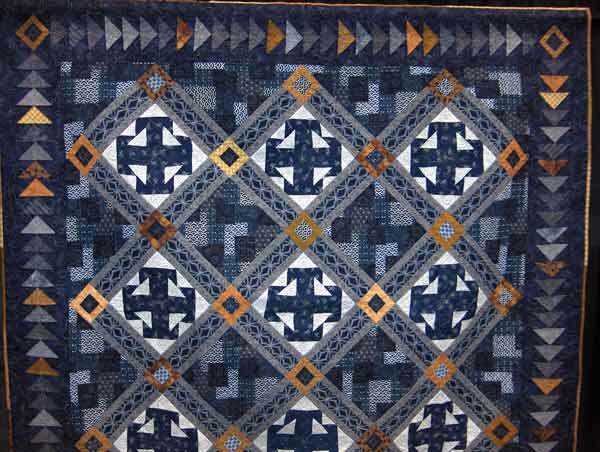 ﻿﻿﻿I love the indigo and the gold, I don't like the quilting. If you click on it hopefully you can get a closer look. 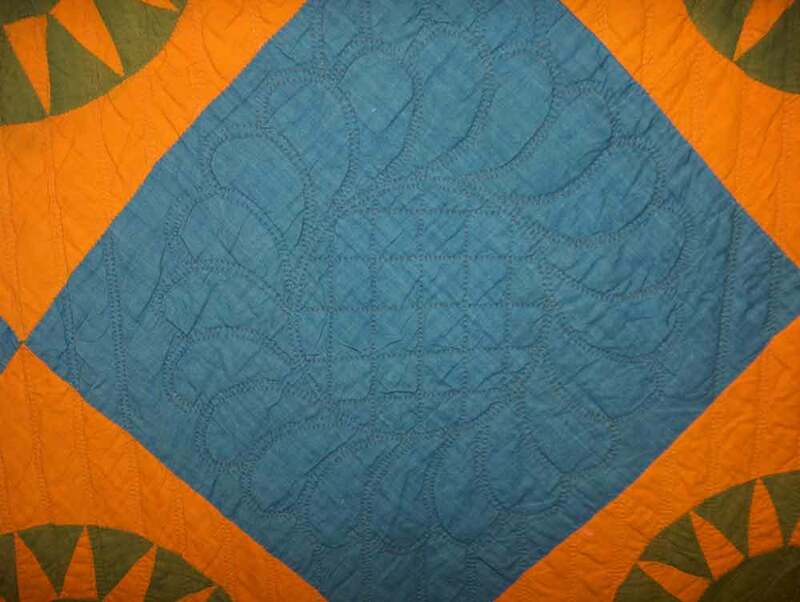 It's very swirly with a light colored thread and I thought it was very distracting from a really great quilt. This one brings me straight to Africa!! 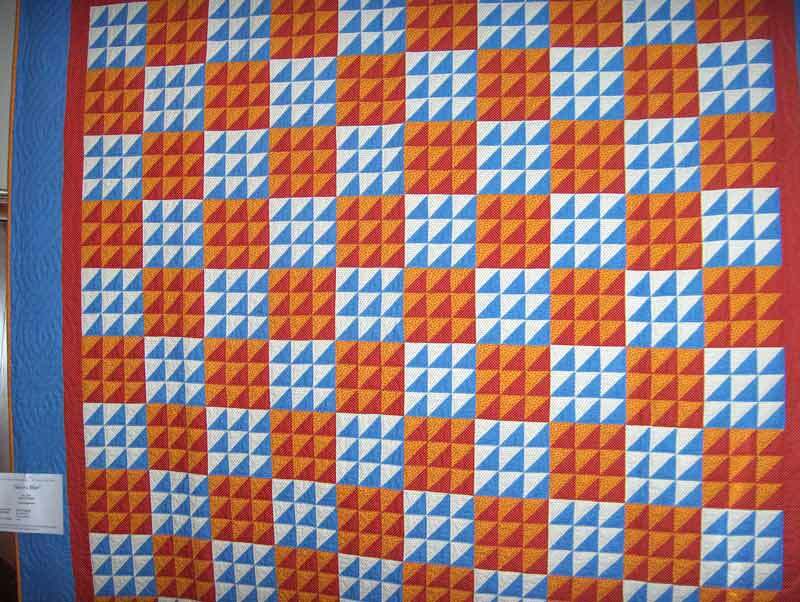 This one actually made me dizzy to look at!! 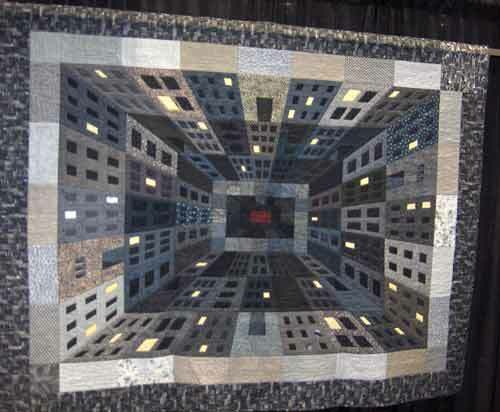 LOL I think it's awesome how the quilt maker made this so 3D! 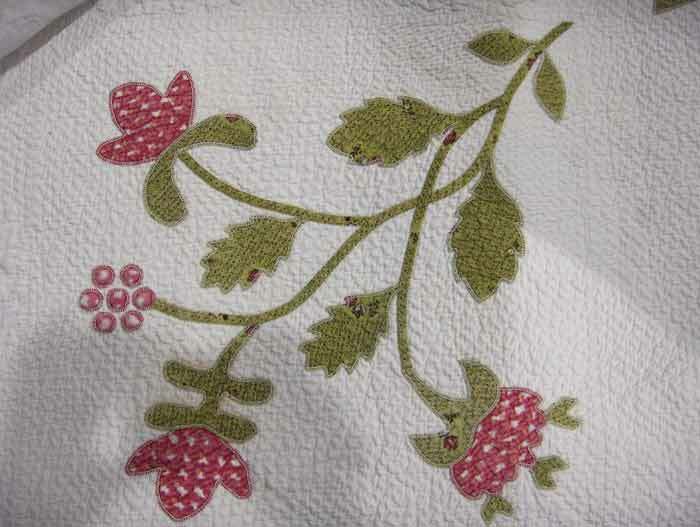 PS, Chris, you are on no-reply and I have no way of contacting you about the pattern. Please send me an email and I'll get you the information. Yesterday we were in Portland cheering on my son and daughter at the Portland Marathon. I'm not sure how many parents get to see both of their kids run in their first marathon on the same day, but we are so proud to be counted among them! 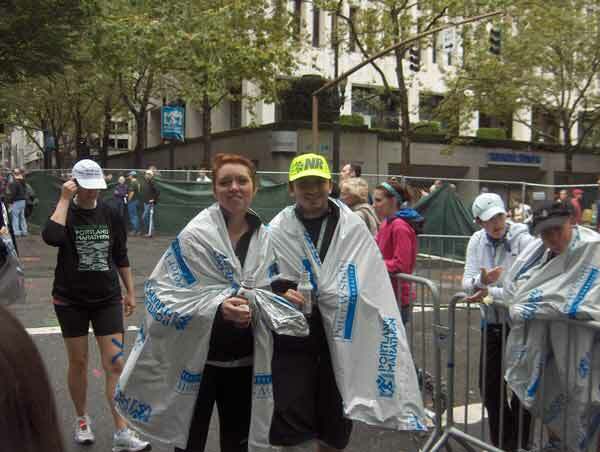 So, 26.2 miles later here they are standing past the finish line. I wanted to complete at least ONE Christmas craft this year and I've reached that goal. I figured as long as my wool was strewn about the sewing room after making Gourdy's Gang I might as well start on Santa Claus. 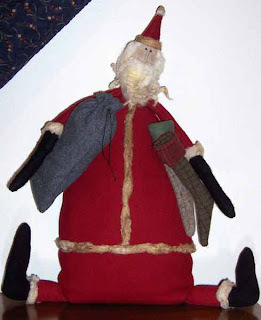 The bag and stockings are just pinned in place for now and I see I need to do a little bit of grooming on his beard, but I was so excited to finish and take a photo! My husband has been watching me lately and giving me a bad time about his parts and pieces but even he agreed last night that Santa is pretty cute. I picked up this pattern at Something to Crow About last spring. 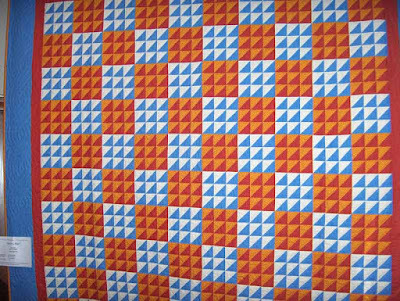 It's another Threads That Bind pattern. I haven't made something like this for some time so it was step by step very slowly. I never did figure out the instructions for adding the cuff to the stocking so I made it up and put them on!! His suit trim was supposed to be wool roving using the special pointy tool, but with a little trial and error I used some coffee stained 100% cotton stuffing and a glue gun. My first order of business this morning is to clean the sewing room! Wow! What a creative mess it is!! Look what I won from Valentina! Lovely little scraps (And a big one) from Provence via Cyprus! 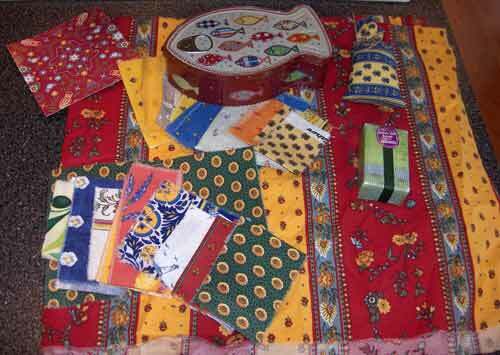 The sachet in the upper right is full of wonderful lavender and the soap below is too. Oh my! I love lavender and am enjoying the spring smell in my house!! Thank you Valentina!! 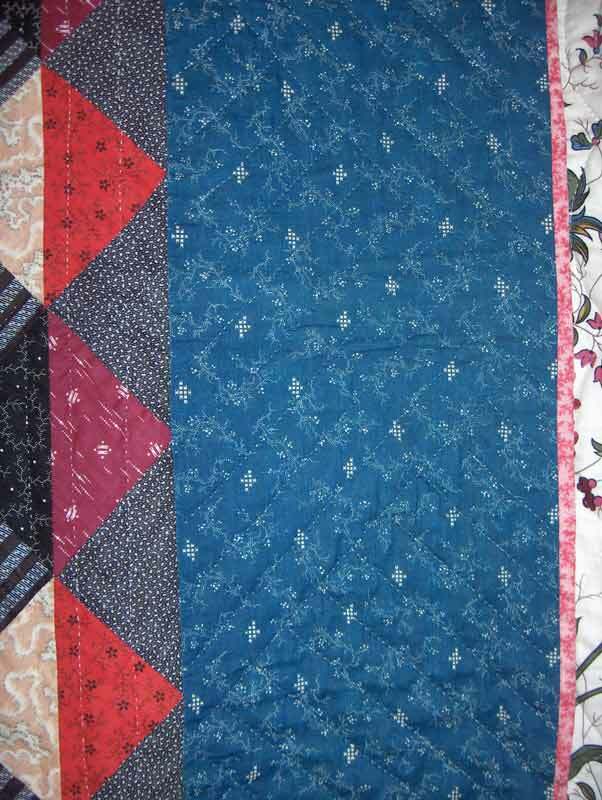 I think I know what little quilt I want to make with this, but haven't cracked the book to see the size of templates. I've been focused on Santa. Stray Threads. 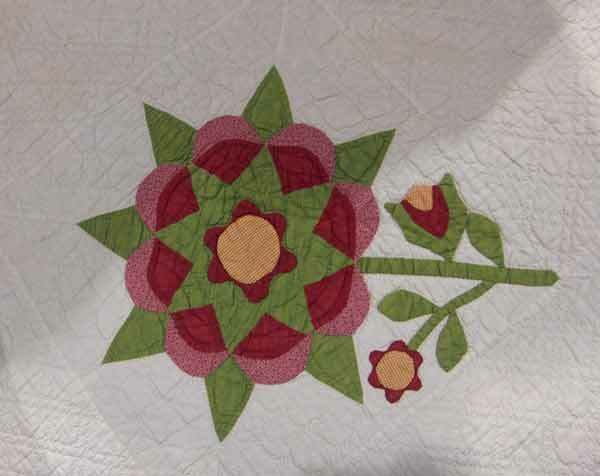 One of the quilts she shows has the "reverse' buttonhole stitch too! Xenia Cord told her she has never seen it before and we thought it was funny that we both posted a photo of one on the same day!! Oregon Quilt Project and it seems I run into him every now and then. 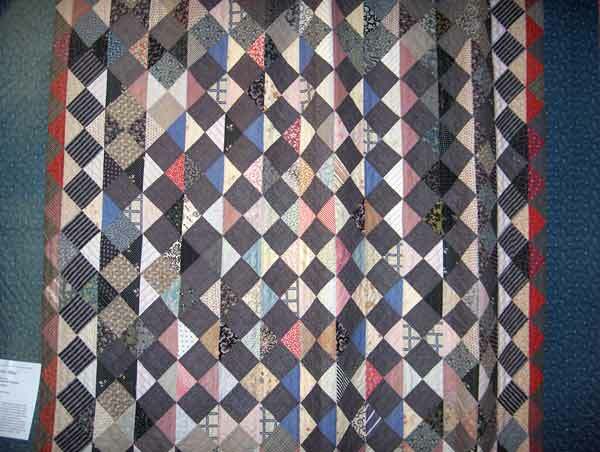 (It's not like Oregon is a tiny state) He is a quilt collector extraordinaire with a focus on New York Beauty quilts. I'm sure he'd love you to drop by and say hello! You can find him at Willy Wonky Quilts. Yes, he is a bit humorous too! 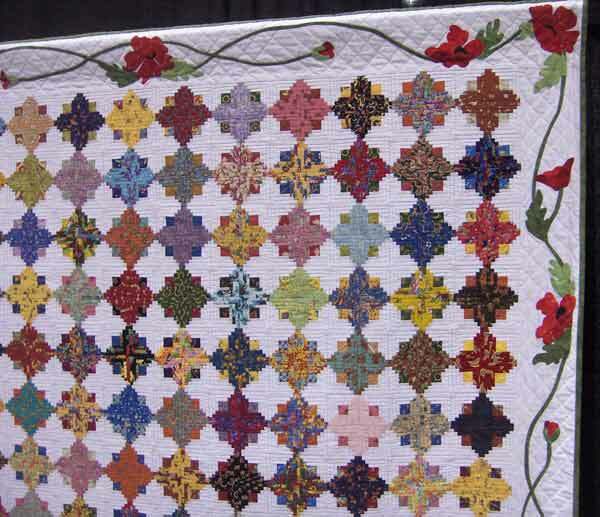 I saw these wonderful beauties at the NW Quilt Expo a couple of weeks ago. I can't get enough red and green applique quilts! They were part of the display from the Latimer Textile Museum in Tillamook, Oregon. 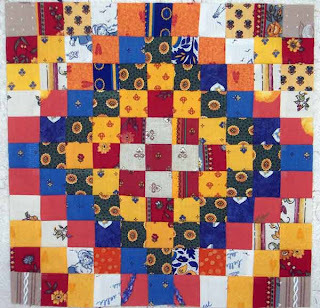 I've seen the top two before and you can see more of the quilts at this post. I'm not sure if you can tell on this block but it has a very close buttonhole stitch. It really looks like it was done by machine, but my friend and quilt lover Bill, suggests it may be done by hand. 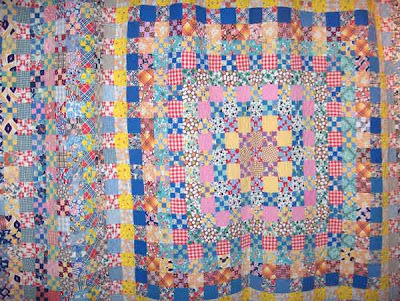 The quilting is phenomenal. The buttonhole stitch is done the opposite of how it is traditionally done. 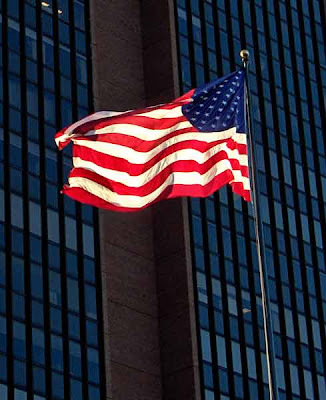 I hope you can see closer by clicking on the photo. 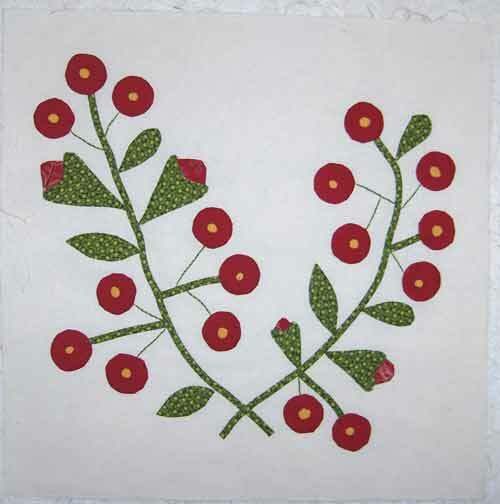 And here is my first block of Beyond the Cherry Trees by Sentimental Stitches. 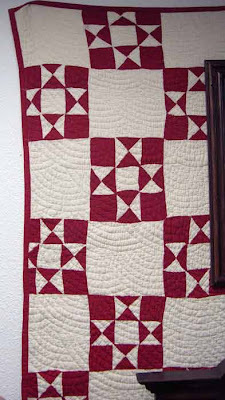 I've been wanting to do a red and green quilt for awhile and this one was just funky enough so my applique skills wouldn't have to be perfect. The little dots inside the berries are done with reverse applique. I used several different methods to try and get the red cherries somewhat round and resorted to this method that Barb described. 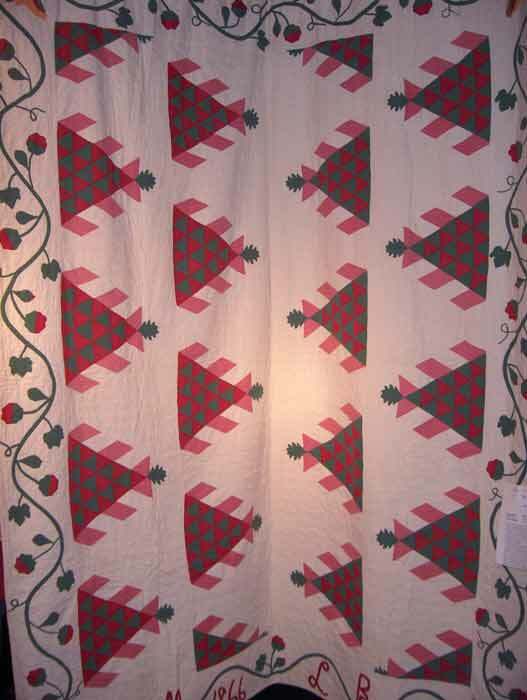 This is an older pattern that I have adored for the longest time. It makes me smile and laugh at the same time when I see it. 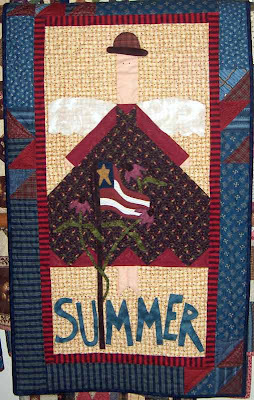 I finally purchased the pattern in late summer and got it finished this weekend to display this month. It is hanging outside and will greet my visitors as they arrive at my door. 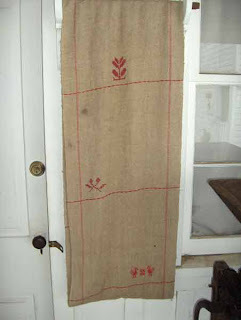 The pattern is designed by Threads that Bind. 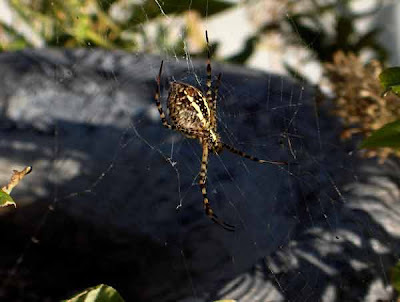 I love their patterns! These stuffed pumpkins look a wee bit like Gourdy's Gang- too cute!! If you love working with wool take a look around at their site. You won't be disappointed. 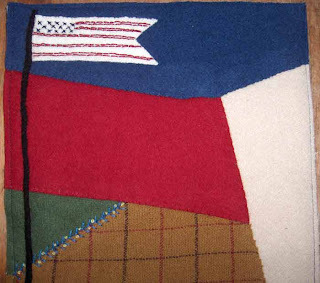 PS, I used the wonderful woolie flannel that looks like wool for the background. 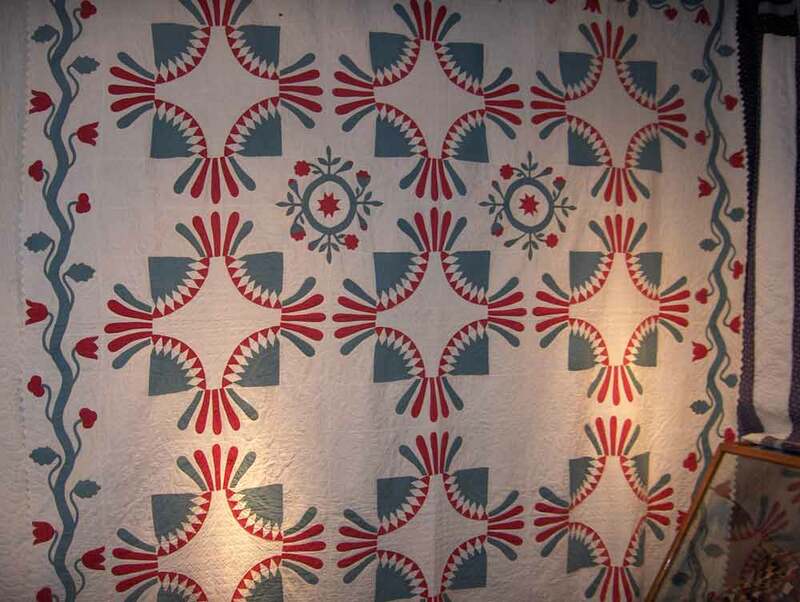 It was designed by Bonnie Sullivan for Maywood Studios. It is a terrific alternative if you need large pieces of wool and are on a budget.